Cabinet Vision is not guaranteed to work on Windows Home edition. Windows 10 PRO is recommended for full functionality. Note, we have bee able to get CV to install on a windows 10 PC, but installation can be a bit buggy as Windows 10 Home is not fully supported. 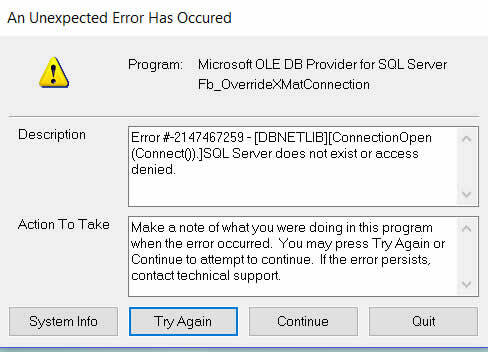 Problem: SQL server error. This error can happen during installation of the program (commonly on Windows Home editions), it will continue to be displayed as you try to install the program, rendering it unsuccessful. © Copyright 2016 Barker Cabinets. All Rights Reserved.